As the dreary gray days continue here in Clark County coupled with the switch this weekend to daylight savings time (HATE! ), so many people at my gym Battleground Snap Fitness – have shared with me that they’re feeling bluesy, tired, sleepy and depressed. What can you do about it? Consider evaluating your Vitamin D levels! Vitamin D is NOT just for bones – it may just help boost your mood, and improve your memory too. Vitamin D is a fat soluble vitamin which helps support bone health, muscle function, cell growth, immunity and so many other body functions. Vitamin D helps your body absorb calcium for healthy bones and teeth and helps protect older adults from osteopenia or osteoporosis. Even if you have a calcium rich diet (plenty of low fat dairy foods and green leafy vegetables), without enough Vitamin D you can’t absorb the calcium into your bones and cells. Without enough Vitamin D and calcium, vitamin deficiencies may pose a health risk to the 40+ adult leaving their bones at risk for bone fractures. Vitamin D aids in other areas in our body. It helps muscle function in that nerves need Vitamin D it to carry messages between brain and every body part. The immune system uses Vitamin D to help fight off invading bacteria and viruses. Vitamin D also helps promote normal cell growth and prevents inflammation throughout the body making it a promising anti-cancer agent as well as an inflammation reducer. 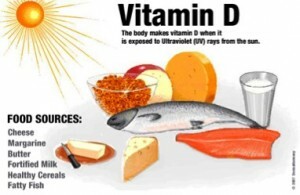 Consuming Vitamin D rich foods [fatty fish (salmon, tuna); cheese, eggs, mushrooms, and fortified milk and cereal. Ingesting supplemental Vitamin D either in tablet, capsule or liquid form. RDA is 600 IU –with an upper level intake of 4,000 IU per day. Vitamin D comes in 2 forms – D2 (ergocalciferol) found in some plant life in response to UV radiation (mushrooms) and in most fortified foods. D3 (cholecalciferol) is the more potent and most biologically active. Studies have shown that both forms are equally good for bone health. Can a person have too much Vitamin D? Yes. Symptoms of too much Vitamin D include nausea, vomiting, increased thirst and urination, weight loss, confusion, heart rhythm problems and other symptoms. I have a hard time taking tablets – does Vitamin D supplements come in any other form? Vitamin D supplements come in many forms – tablet, capsule or liquid form in many strengths from 1,000 IU’s all the way up to 50,000 IU’s. Discuss the recommended daily vitamin D dose appropriate for your body with your doctor. Where can I purchase high quality Vitamin D supplements? Sure you can purchase supplements at the grocery store. 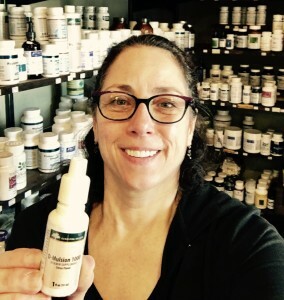 BG Apothecary carries a myriad of Vitamin D supplements from high quality brand name pharmaceutical grade suppliers like Integrative, Thorne, Pure and Standard Process. There is continued ongoing research on additional benefits of Vitamin D from helping to prevent colon, prostate and breast cancers to preventing and treating diabetes, heart disease, high blood pressure, depression and multiple sclerosis. There may also be a correlation with vitamin D deficiency and auto-immune diseases. I am curiously looking forward to reading the Brigham and Women’s Hospital Dr. Joann Manesults of a the V-I-T-A-L (VIT comes from vitamin D; A from OmegA-3; and L from Trial) 3 year trial that is exploring the potential role of vitamin d and omega 3 fatty acids in the prevention of cancer and cardiovascular disease. Over 25,000 men and women were involved with this study. Check out VITAL Study. 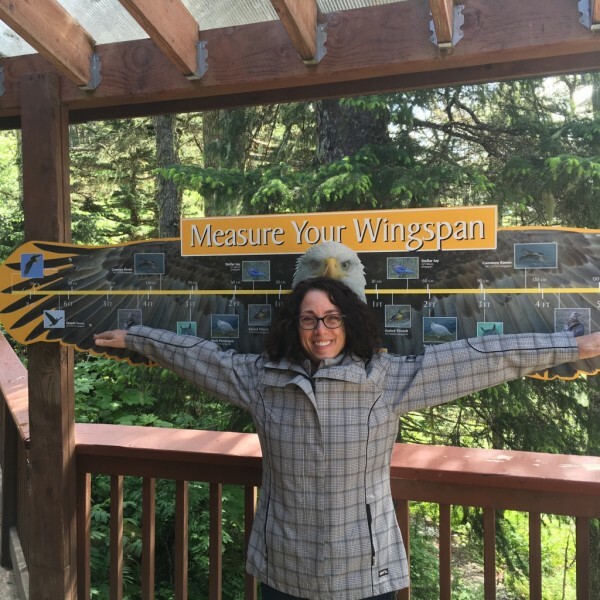 As a Nutritionist, I highly recommend taking advantage of the Pacific Northwest sunshine with outdoor activities at least 15 minutes a day 2 – 3 days a week during the spring and summer to naturally stockpile Vitamin D. During the fall/winter its best to supplement with Vitamin D to ensure proper Vitamin D levels. I personally take Genestra Brands’ “D-Mulsion 1000” liquid vitamin supplement in Citrus Flavor. Each drop contains 1,000 IUs of cholecalciferol with .01 mg of stevia. I prefer the easier to swallow liquid form over a capsule; each day I add my vitamin D drops to my liquid calcium/magnesium supplement to boost my mood. 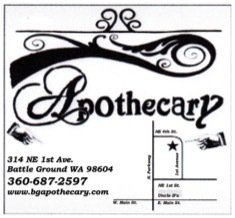 Come “Stump the Nutritionist” Denise Hays most Thursdays 1 – 4 PM at BG Apothecary located at 314 NE 1st Ave, Battleground WA. I’m always happy to talk nutrition, health, and wellness! See you soon.